When I was planning my trip to Eastern Europe, I wasn’t really sure what I was in for. 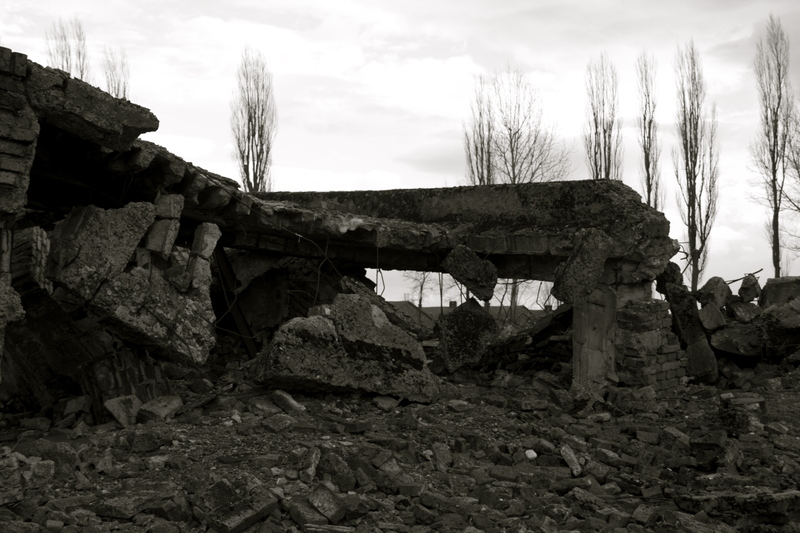 I knew there were a few key sights I wanted to see; the bone church in Kutna Hora, the entire city of Prague, and most importantly Auschwitz concentration camp. 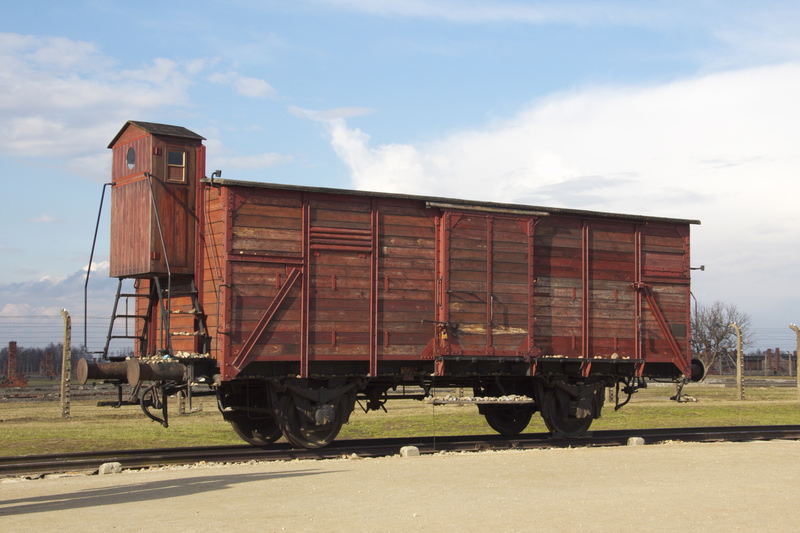 I have always had a keen interest in the Holocaust and in the general trend of the persecution of Jewish populations throughout Europe, particularly throughout Moldova and Ukraine, where my family came from, and the museum at Auschwitz has one of the most prolific and interesting exhibits on the subject. 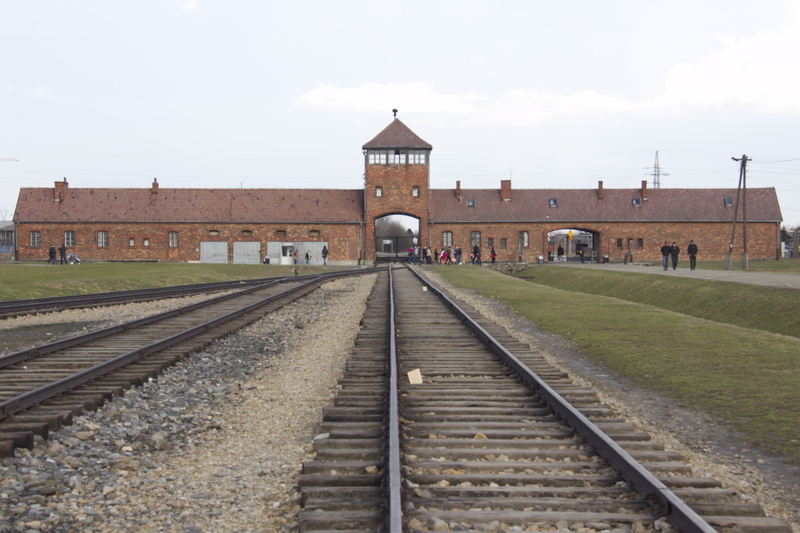 I had visited Dachau before, and so I was expecting something similar when I went to Auschwitz, but found myself very surprised by the reality of the camp. When I got to my hostel I booked a tour for the next day, and headed out with our tour group the next afternoon. 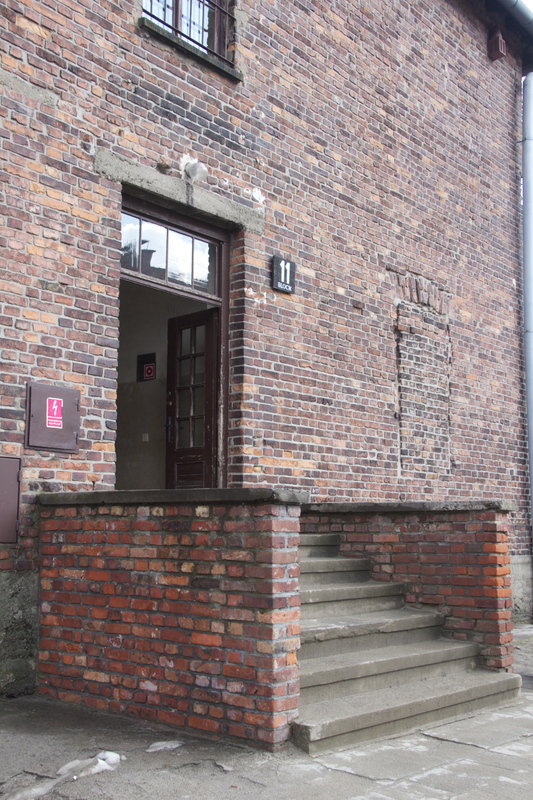 We started by watching a documentary consisting of the footage taken by Soviet troops who came to liberate the camps near the end of the Second World War. There were many familiar and very famous images presented, but also many that I had never seen before. 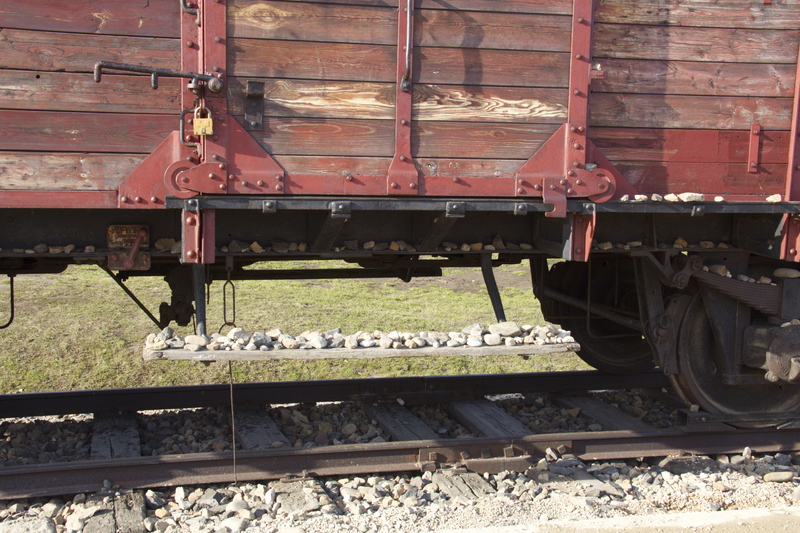 The video explained how the Nazis at Auschwitz were essentially utilizing Jewish people as though they were raw materials; the healthy were forced to do manual labor to support the military, their belongings (including gold teeth, shoes, prosthetic limbs, crockery, and jewelry) were taken and used to clothe soldiers and add to the wealth of the government, and even their hair was used to make rope or felt for stockings and blankets. 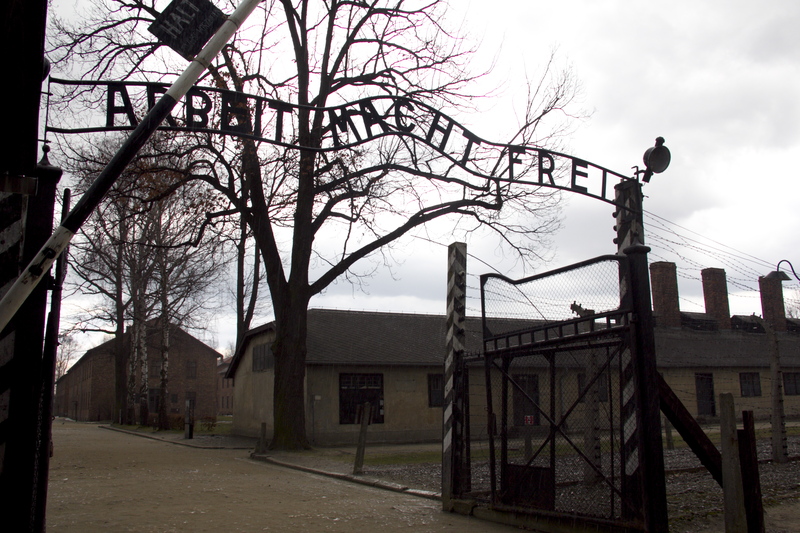 When we got to the camp we were first brought to the infamous ‘Arbeit Macht Frei’ gate, which prisoners would walk through on their way to work each day. 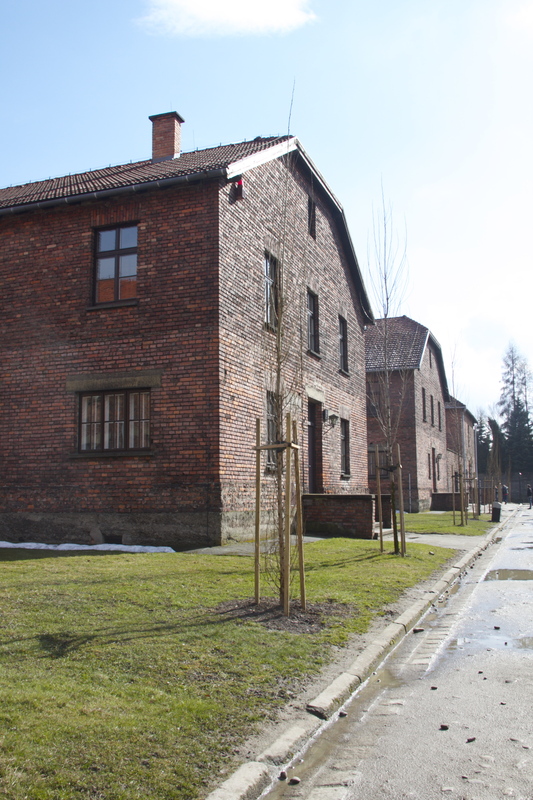 We were then led through several barracks, all of which hosted exhibits about the camp; we learned how many prisoners were sent through, about how many died, about the child prisoners, and about life and death within the camps. 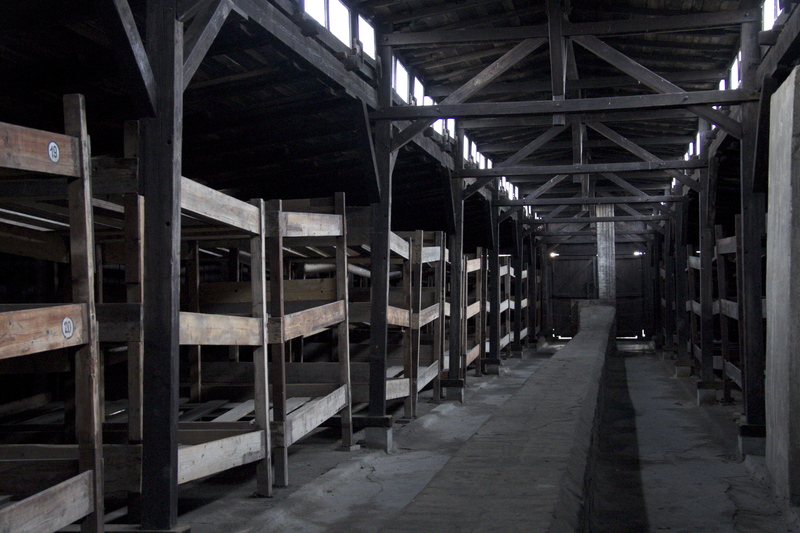 One particular barrack held many possessions that had not already been utilized by the Germans, but were waiting in storage when the camps were liberated. 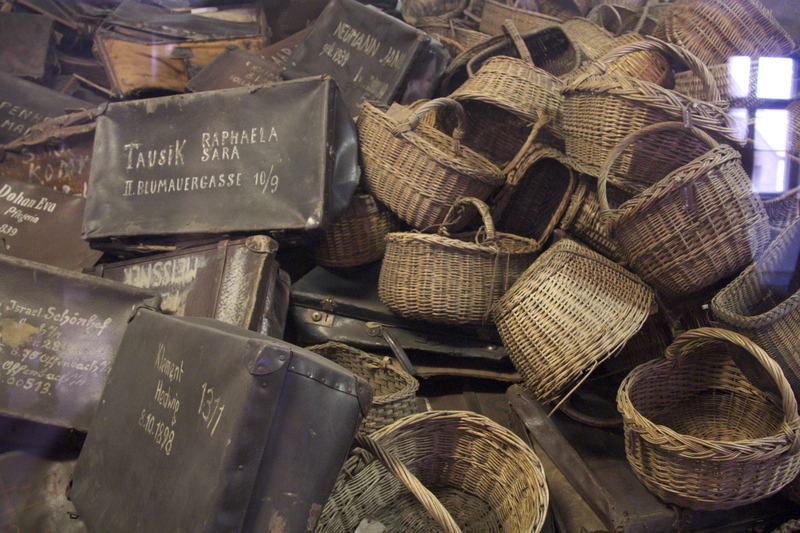 There were entire rooms full of shoes, crockery, and personal care items, but the most disturbing room was the one that was full of human hair, which we were not allowed to photograph. Many of the locks of hair were still in their original braids, which was a tactile reminder of the fact that this actually happened to people, not just ambiguous numbers or concepts that you read about in the books. 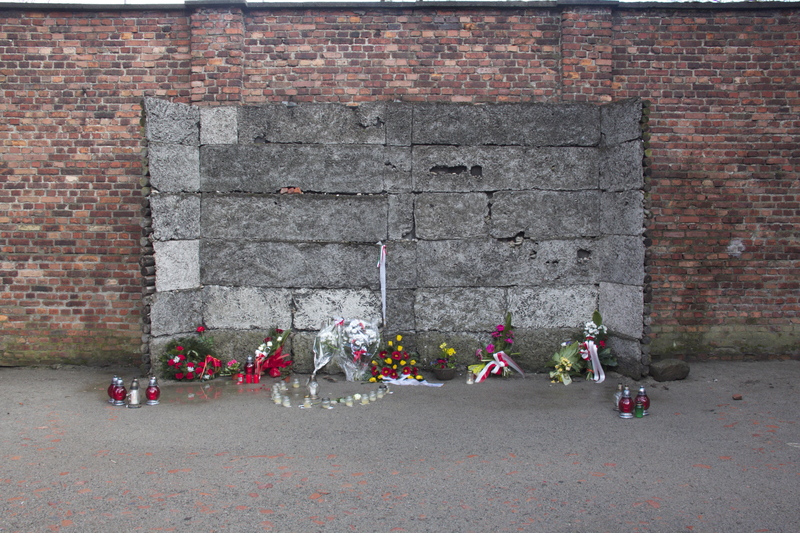 Our next stop was to Barrack 11, which was essentially a prison within a prison; the barrack housed various interrogation rooms, holding cells (for those committed to death by starvation), several standing punishment cells, which held up to four men at a time and forced them to stand all night, and was the first building in which Zyclon B, the gas used to kill the majority of Jewish prisoners, was tested. 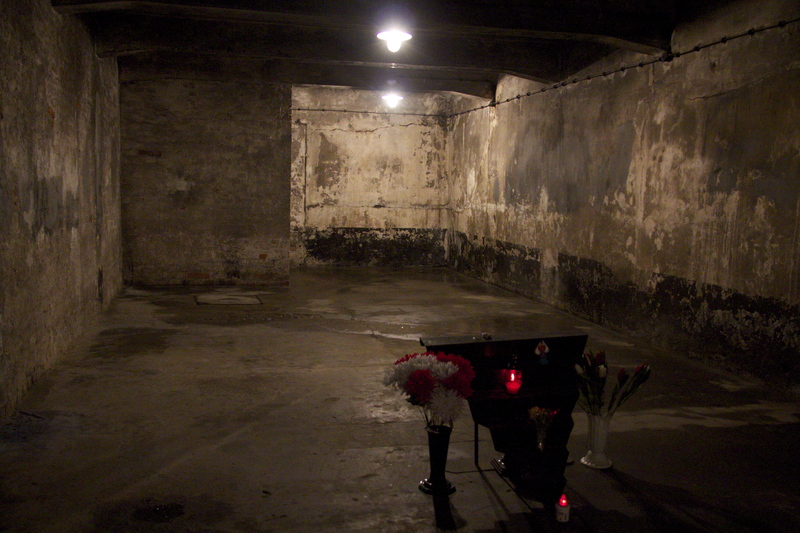 There was a commemorative cell in which a priest, who had volunteered to take the punishment of death by starvation in place of another prisoner, was killed by poison after withstanding two weeks of starvation. The man whose life he saved lived to be 94. 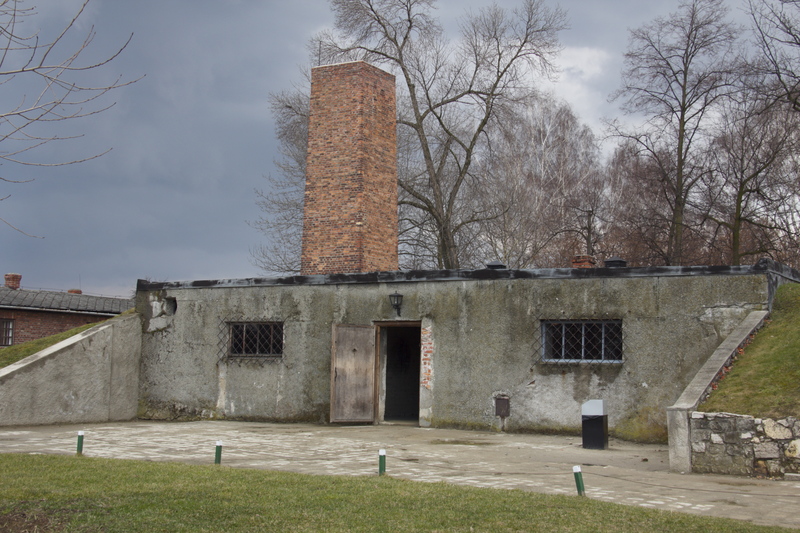 Before we made our way to Birkinau, the sister camp to Auschwitz, we went through the last standing gas chamber and crematorium. Our guide explained the layout of the rooms to us outside, as silence is mandatory within the chambers. We were shown through the first room, in which prisoners stripped down for ‘showers and delousing,’ and where they were repeatedly told to remember their hook numbers to prevent suspicion. The next room looked like a standard communal shower, complete with shower heads on the walls. The gas entered the room from several disguised holes in the ceiling, and within 15-20 minutes everyone within the chambers would perish. They were then taken to the next room, where their bodies were cremated, their ashes used to fertilize the fields in the area. 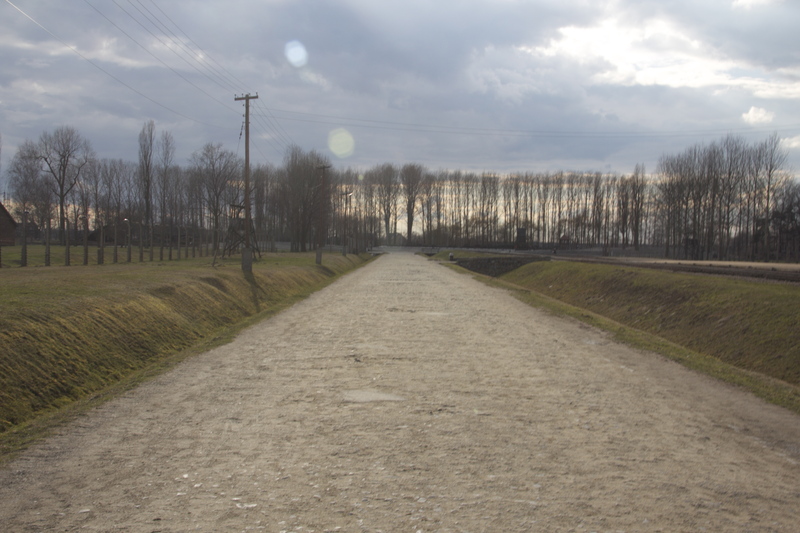 We continued down the infamous platform where families were separated by gender and sent either to the gas chambers or to work, making our way toward the ruins of two of the larger gas chamber and crematorium complexes, both of which had been destroyed by the Nazis during the war in an effort to cover their atrocities. From there we toured one of the remaining barracks and toilet chambers, and were told more about daily camp life and the advantages and disadvantages of working for particular sectors of camp labor. After this we went back to solemnly to the bus to return to Krakow. All in all a day trip that is well worth it, but definitely not uplifting. 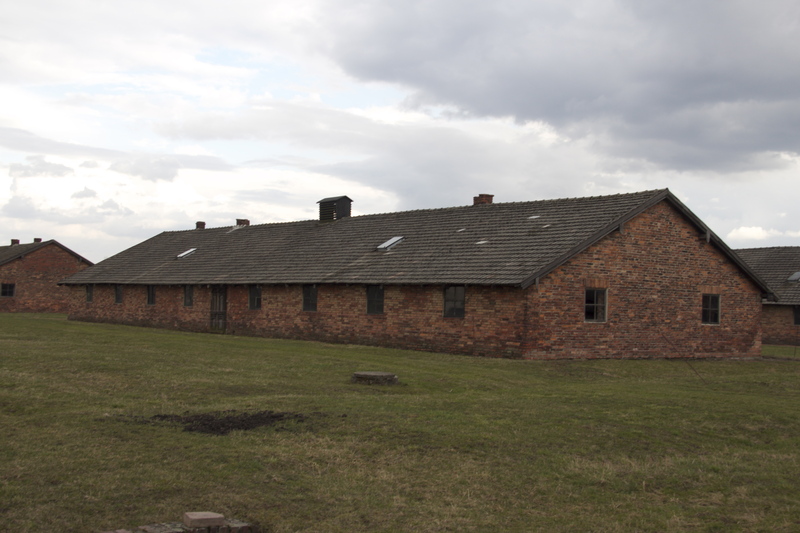 The operational use of the gas chambers in Auschwitz was preceded by experiments intended to find the most effective chemical agent and to work out the proper method for its use. 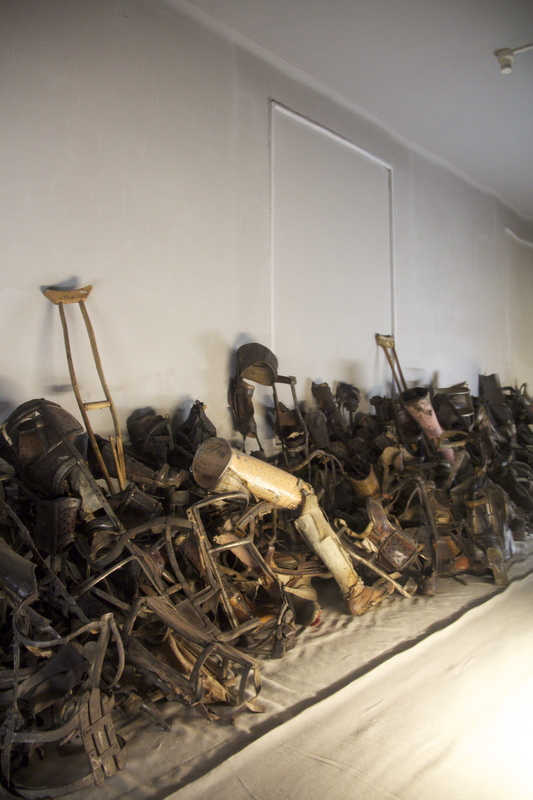 About 600 Soviet POWs and 250 sick Poles were killed in such experimentation from September 3-5, 1941. 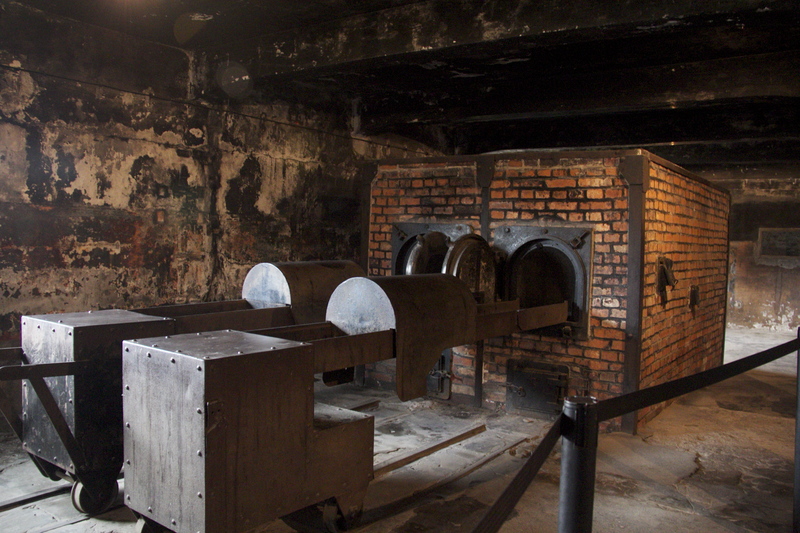 Afterwards, the morgue at crematorium I in the main camp was adapted for use as a gas chamber. Several hundred people at a time could be killed in this room.